Description: Listen.All the world forgets me. First my face, then my voice, then the consequences of my deeds. So listen. Remember me. 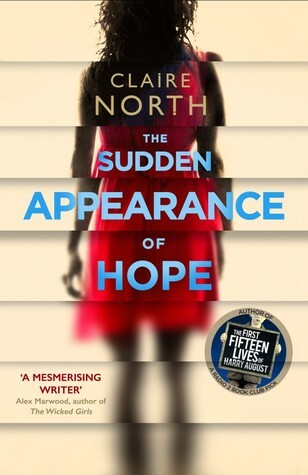 Review: After reading the blurb for Claire North's The Sudden Appearance of Hope, I was really hoping for a modern take on H.G. Well's classic Invisible Man. I really enjoyed the first half of the book where we meet sixteen-year-old Hope Arden who began to notice that people were forgetting her after looking away and returning their attention on her; her friends suddenly behaved as though they didn't know who she was, and her parents seemed surprised when she came home, as though they weren't aware they had a daughter. Hope is torn between indulging her "ability" to disappear in which she could literally be anyone and do anything without being caught and finding a solution to make her "permanent". Hope turns to a life of crime thievery, a natural career that gives her adrenaline rush with a dose of wickedness. After stealing from a dead woman and learning about an app called Perfection which allows people to achieve their perfect selves, Hope's voice is appealing and shows us a teen who yearns to create her own identity while also indulging in her uniqueness. North does a job in demonstrating her inner struggle. Like Hope, I also wanted to know how she is able to disappear and whether or not she can find her cure. The second half of the book is much slower and takes a turn away from Hope as she digs deeper into the creation of Perfection and eventually, how she wants to take down the application. Though I thought the concept of Perfection to be relevant in our current, technology obsessed world, it took the spotlight away from Hope and made the story a much slower read. I lost interest quickly and mainly skimmed the last half of the book. I was disappointed that Hope's condition isn't addressed nor are we given answers as to why her younger sister is the only one who remembers her. Overall The Sudden Appearance of Hope is a genre-blending novel that will interest readers who enjoy psychological thrillers or cerebral science fiction readers. If those genres appeal to you, then I would suggest checking it out. Otherwise, I would skip it. Words of Caution: There is very strong language throughout the book and there are some allusions to sexual situations. Recommended for adults only. Rick Riordan's latest series, The Trials of Apollo, delivers the same entertainment like the Percy Jackson and the Olympian series. The Hidden Oracle takes place a few months after the events of The Blood of Olympus, the final book in the Hero of Olympus series. While it isn't necessary to read the Percy Jackson and the Heroes of Olympus series to enjoy the Hidden Oracle, you will miss out on the world building and the events mentioned in this book. I would suggest reading the Percy Jackson and the Olympians first followed by the Heroes of Olympus before reading the Hidden Oracle. Description: How do you punish an immortal? By making him human. After angering his father Zeus, the god Apollo is cast down from Olympus. Weak and disorientated, he lands in New York City as a regular teenage boy. Now, without his godly powers, the four-thousand-year-old deity must learn to survive in the modern world until he can somehow find a way to regain Zeus's favor. 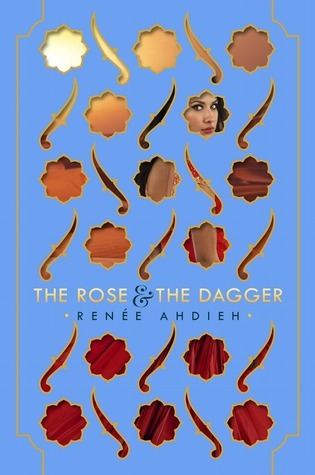 Review:Riordan takes a break from his well-known formula of a young man/woman discovering he/she is a demigod in his latest series. This time, he turns the tables and a demigod is stripped of his immortality and turned into a human. 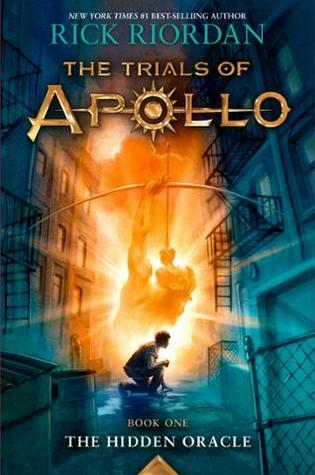 Apollo has done something to anger his father, Zeus, and he’s been cursed to walk the earth as gawky, mortal 16-year-old Lester Papadopolous. To add insult, he is required to obey the command of whichever demigod he encounters first, and in his case, that’s grouchy, volatile Meg, a 12-year-old with a powerful ability to wield garbage as a weapon. 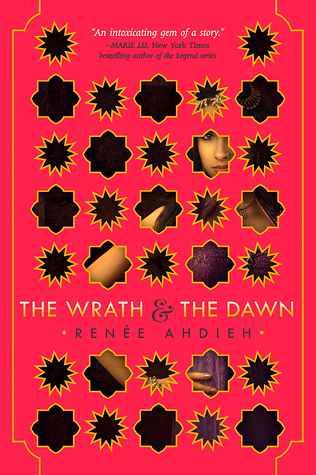 Together, the pair makes their way to Camp Halfblood, only to discover that demigods are going missing, and it has something to do with whispering trees, the blocked Oracle of Delphi, and a dangerous new threat. Apollo’s first-person narrative, awkwardly juggling his godly egotism and teenage insecurity, is hilarious. Other reviewers have commented that Apollo got on their nerves, but I loved his voice. Greek gods and goddess are known for their childish behaviors and Riordan displays this brilliantly with Apollo's voice, especially his haiku's the preface each chapter. His mortality not only provides him to comment and lament how lame mortals are, but it also provides him multiple opportunities for him to grow as a character such as appreciating his many children and being (gasp!) humble. In true Riordan fashion, there is the interweaving of Greek myths throughout the story and I really like the absence of an oracle, which undoubtedly influences and shapes the overall arching plot of the series. I enjoyed having the same amount of information and clues as his characters do. The pace moves quickly and the story is filled with lots of action, adventure, and humor makes the Hidden Oracle a very enjoyable read. For fans of Riordan's Percy Jackson and the Olympian and Heroes of the Olympus series, you will definitely see a lot of familiar faces. I'm really looking forward to the next book in this series. Words of Caution: Apollo mentions having both male and female lovers, which is not unusual in Greek mythology or in Ancient Greece. There is also some strong violence in the book. Recommended for Grades 6 and up. Description: Today is Leonard Peacock’s birthday. It is also the day he hides a gun in his backpack. Because today is the day he will kill his former best friend, and then himself, with his grandfather’s P-38 pistol.But first he must say good-bye to the four people who matter most to him: his Humphrey Bogart-obsessed next-door neighbor, Walt; his classmate, Baback, a violin virtuoso; Lauren, the Christian homeschooler he has a crush on; and Herr Silverman, who teaches the high school’s class on the Holocaust. Speaking to each in turn, Leonard slowly reveals his secrets as the hours tick by and the moment of truth approaches. 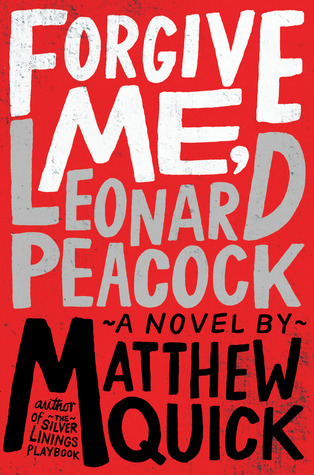 Review: Forgive Me, Leonard Peacock, is a striking coming of age novel that reminded me a lot of the J.D. Salinger's classic, The Catcher in the Rye, and Jay Asher's powerful debut novel 13 Reasons Why. In a gut-wrenching, opening chapter Leonard Peacock declares his intention for his 18th birthday: he is going to kill his former best friend and himself with his grandfather's gun. Leonard is a loner, an outcast, a misfit, who has a difficult time connecting with people. His parents are neglectful. 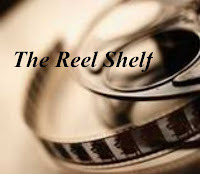 His father is a washed-up, drug addict musician who has vanished and his mother is a self-absorbed, workaholic. The only real friend Leonard has is an elderly neighbor who spends his days smoking and watching Bogart movies. Leonard's anger, emotional pain, and brokenness build until he feels there is nothing left to do but end his life and the cause of his misery. The plot of the book centers around this 24 hour period as Leonard gives gifts to the four people who mean something to him and he reveals some of his anguish. There are many topics that Leonard touches upon such as bullying, hypocrisy, and religion in the book that will provoke discussion. While reading the book, I kept hoping someone would see Leonard's suicidal signs and intervene. Luckily his most admired teacher, Herr Silverman, picks up on Leonard's erratic behavior and offers to listen without any judgment, something which Leonard so desperately needs. Quick does a great job in his use of flashbacks, internal dialogue, and interpersonal communication. Each of the four people that Leonard meets all have an important meaning in his life and used effectively in the story regardless of how time they spend on the page. Quick also captures teenage angst and alienation perfectly in Leonard's voice which at times is funny, on-point, cynical yet heart-rending. The suspense about what happened between Leonard and Asher is what kept me glued to the pages. The slow reveal builds tension until the heartbreaking climax unfolds and we finally learn about the emotional trauma that Leonard has endured. Many readers have struggled with Leonard's likability as a character, but I don't think that is the purpose of the book. Leonard is just an example of teens who are struggling with mental illness and desperately needs help. I think the book serves as a wake-up call about identifying suicidal signals and providing help to those in need. Words of Caution: There is strong language, allusions to sexual abuse, and crude sexual humor. Recommended for Grades 9 and up. Description: Every nation that invades the City gives it a new name. But before long, new invaders arrive and the City changes hands once again. The natives don't let themselves get caught up in the unending wars. To them, their home is the Nameless City, and those who try to name it are forever outsiders. 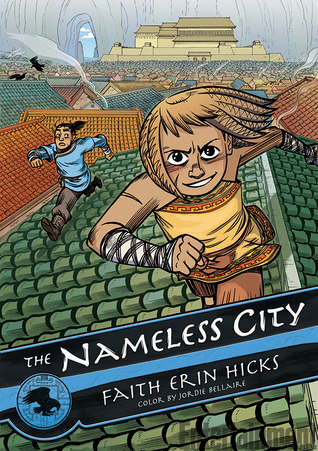 Review: Hicks begins a new graphic fantasy series with the Nameless City. Set in a highly desirable location and relentlessly conquered, the city has been renamed so many times. Its permanent residents watch those rulers come and go and call it the Nameless City. Kai, son of a general in the current conquering army, the Dao, has just arrived. Newly acquainted with his absent father, Kai is dazzled by the place, especially the girl he sees racing across the rooftops. As Kai explores the city he begins to see the various socio-economic divisions among the citizens. He also befriends the girl, Rat, and sees what life is like for the conquered. Kai and Rat's friendship develops naturally with trust and respect, Hicks hints at the city’s complex dynamics. Resentments toward the Dao are simmering, and privileged Kai is mostly oblivious until Rat starts training him in her parkour-like moves. Hicks spends a lot of time in conveying Kai's learning through visual cues, expressive faces and gestures, and subtext. Along with the developing friendship, there is also a subplot that involves an assassination attempt. What I found most interesting, albeit, underdeveloped in the graphic novel is the Asian, especially what seems like Chinese influence in the story from the rooftops of the cities buildings to the character's physical characteristics and clothing. We are not given any background information regarding the city in terms of geographical information, but it hard not to ignore the influences. I'm really hoping that these ideas will be addressed in the second installment of this series. With appealing artwork, likable characters, and a fun, fast plot, Nameless City is off to a good start. I look forward to learning more about the city in the second volume.